On mobile operating systems like iOS and Android, we get plenty of music player apps that help to improve the music listening experience. However, on Windows computer, we only get the default Windows Media Player to listen to music or watch videos. Therefore, here we have shared some of the best music player apps for Windows 10. Without any doubt, everyone loves to listen to music. Music is something which can both entertain and relax us. Nowadays, smartphones are most preferred to listen to music. However, there are still a lot of users who listen to music from the computer. On mobile operating systems like iOS and Android, we get plenty of music player apps that help to improve the music listening experience. However, on Windows computer, we only get the default Windows Media Player to listen to music or watch videos. The Windows Media Player is lightweight and fast, but its incapable of playing many popular music file formats. This is why Windows users always search for the third party music player apps for Windows. So, if you are also in search for the best music player apps for Windows, then you have landed to the right page. Here we are going to share some of the best free music player apps for Windows 10 which you can use right now. 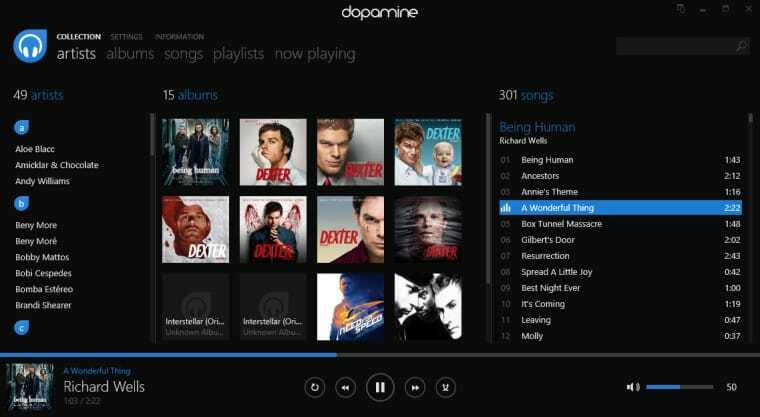 Dopamine is one of the best and fastest music player app available on the web. The great thing about Dopamine is that it’s open source by nature and it comes with a dark theme that doesn’t feel heavy on users eyes. Apart from that, Dopamine supports a wide range of audio file formats including, AAC, M4A, OGG, FLAC, etc. So, Dopamine is one of the best music player apps for Windows 10 that you can use right now. If you are looking for a music player app for Windows 10 that offers users lots of customization options, then AIMP might be the best pick for you. 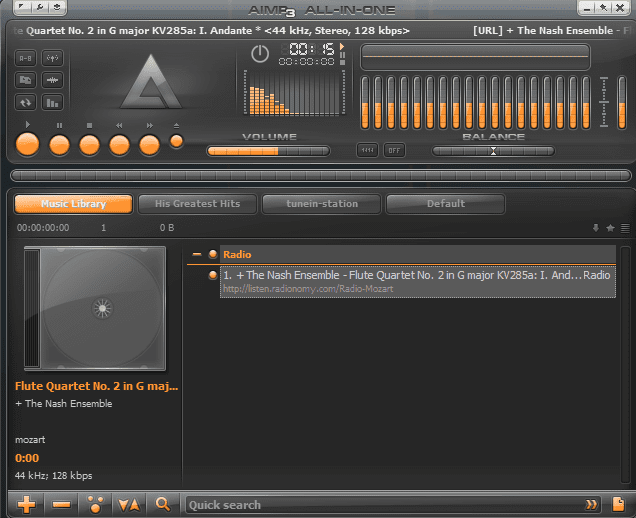 The great thing about AIMP is that it provides users rich sound mixing options along with an 18-band equalizer. Apart from that, the music player has support for a huge range of audio file formats including CDA, AAC, AC3, DTS, etc. MediaMonkey is another best Windows 10 media player on the list which arrives with an excellent UI. The great thing about MediaMonkey is its automatic organization algorithm which arranges all audio files based on Series, Albums, Artists, etc. Not just that, but MediaMonkey can also be used to burn image files. Talking about the support formats, MediaMonkey supports a huge range of audio file formats like AAC, OGG, WMA, FLAC, MP3, etc. 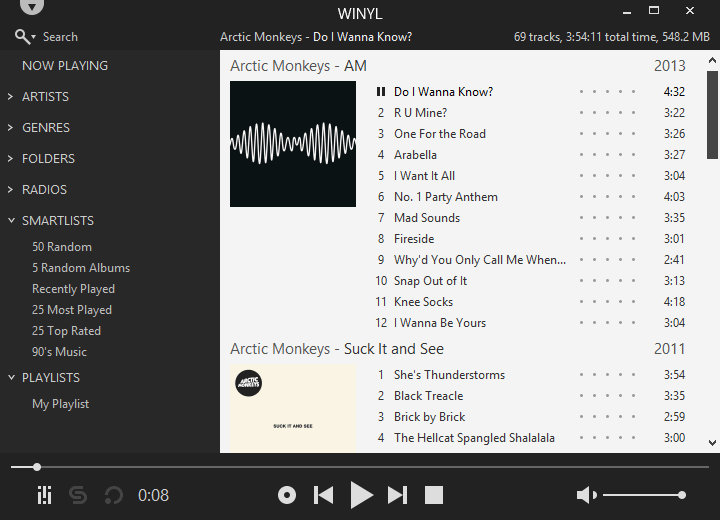 Well, if you are not so satisfied with the built-in Windows Media Player app, then you can try Winyl. Winyl is one of the best and popular Windows Music Player app available on the web. The great thing about Winyl is that it’s lightweight and offers a simple UI. Talking about the features, Winyl has support for rich audio codec and offers a Smartlist feature. The smartlist feature automatically creates playlists based on Albums, Artists, etc. 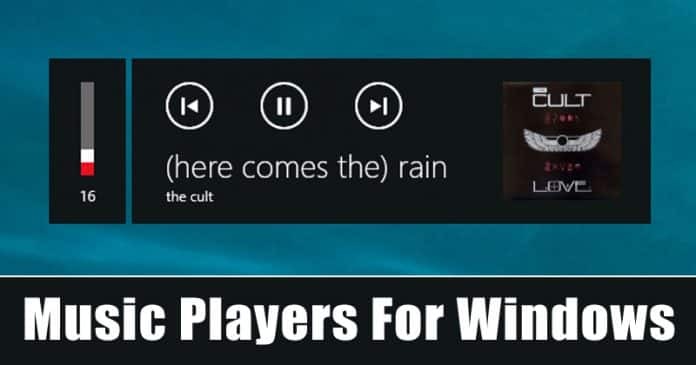 So, Winyl is another best Windows Music Player app that you can use right now. Clementine is one of the top-rated music player app available for Windows computer. The best thing about Clementine is that it supports a wide range of audio file formats including Flac, MP3, AAC, OGG, etc. Not just that, but the music player app can also stream music from various music streaming services like Grooveshark, Spotify, etc. 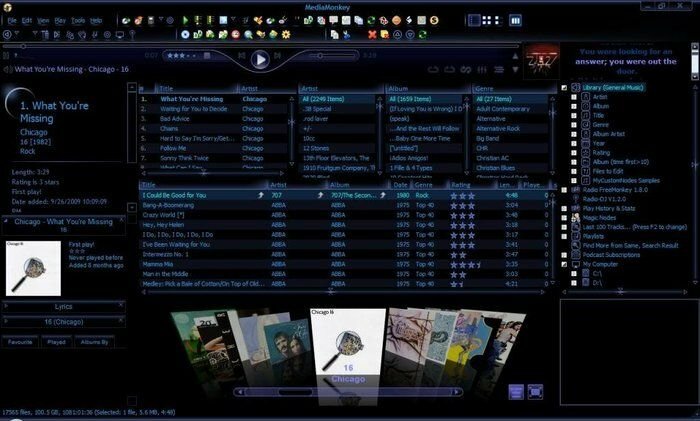 MusicBee is another interesting music player on the list that’s known for its interface. The interface of MusicBee looks amazing, and it works on almost all Windows version. The best thing about MusicBee is that it has support for wide range of audio formats like M4A, FLAC, OGG, APE, TAK, etc. and its considered as the best music player apps for Windows 10. The music player app also offers multiple skins to improve the look. VLC is known as the best video player app, but it can also play music files. 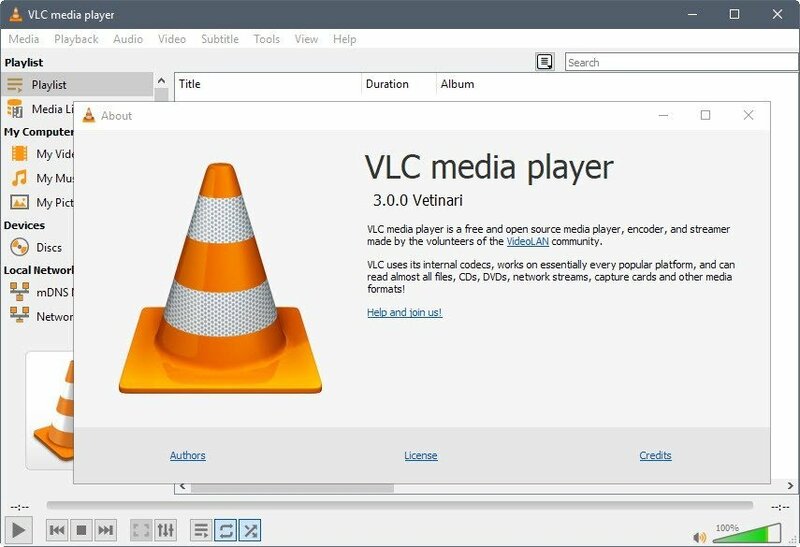 VLC is an open source media player app that comes with lots of music features. The great thing about VLC is that it quickly creates a playlist of music based on Albums, Artists, etc. Not just that, but the music player tool also offers a built-in equalizer which can be used to improve the music quality. 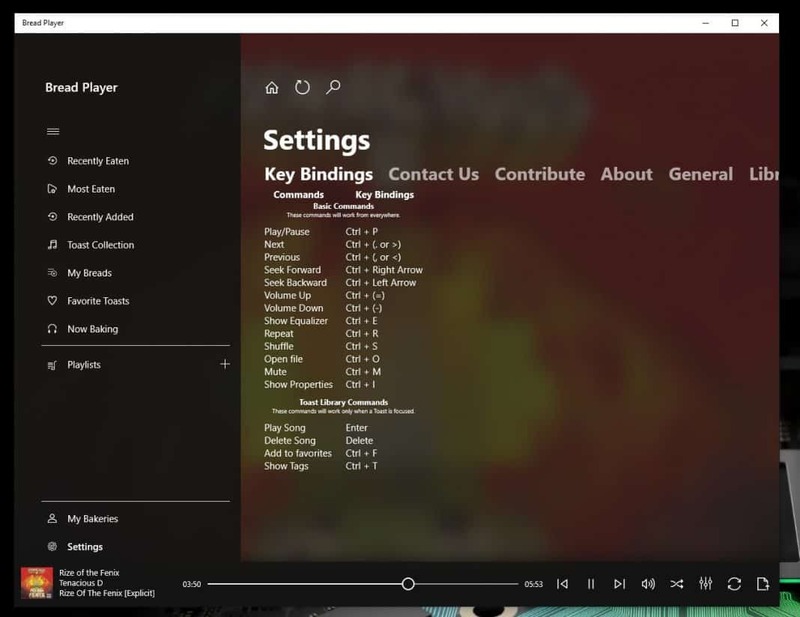 Bread Player is another great Windows 10 music player app on the list that comes with a dark theme. The great thing about Bread Player is its interface which has been made by keeping simplicity at mind. Not just that, but Bread Player also has support for a wide range of audio file formats, and it also comes with a native lyrics sync support. So, Bread Player is definitely the best music player app that you can use right now. 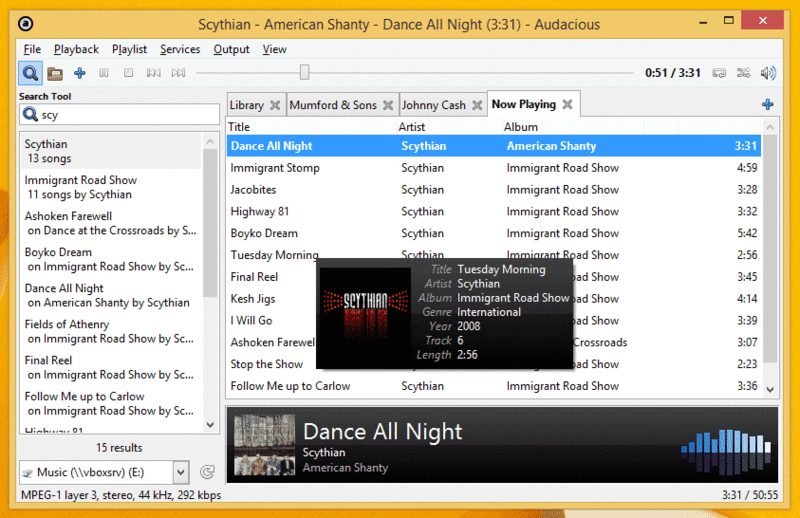 If you are looking for a simple looking Windows Media Player alternatives for music playback, then Audacious might be the best pick for you. The great thing about Audacious is that it has support for plug-ins, that means the functions of Audacious can be modified to make it better. 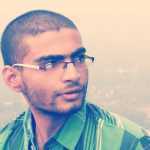 Talking about the audio formats, Audacious supports a wide range of audio file formats like WAV, AAC, FLAC, etc. Winamp is the oldest music player app in the list which is pretty much popular amongst Windows users. It’s a dedicated music player app that has support for a wide range of major audio formats. The great thing about Winamp is that it offers lots of streaming related features like you can stream via podcasts, internet radio, etc. The interface of Winamp also looks fantastic and it’s one of the best music player app that you would love to have. 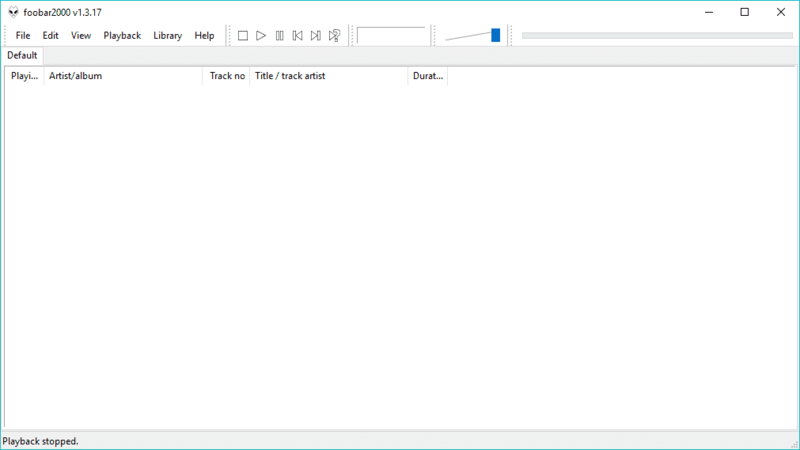 If you are searching for an easy to use and lightweight music player apps for your Windows 10 computer, then foobar2000 might be the best pick for you. Guess what? the interface of foobar2000 looks clean and it’s not filled with unnecessary settings. Apart from that, the music player tool supports a wide range of audio formats including MP3, AAC, WMA, OGG, FLAC, etc. So, foobar2000 is another best music player app that you can use today. Well, this is the default media player apps for Windows 10. The reason why we have listed Windows Media Player is that its simple and supports some popular audio formats. 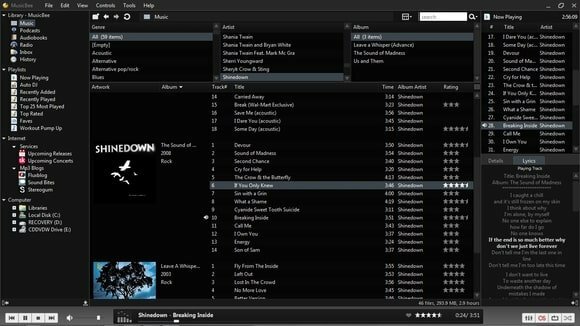 Windows Media Player app allows users to manage songs library, rip music, burn music CD, create playlists, etc. What’s more interesting is that users can customize the look by installing custom skins for Windows Media Player. Well, Spotify is massively popular on Android and iOS devices. 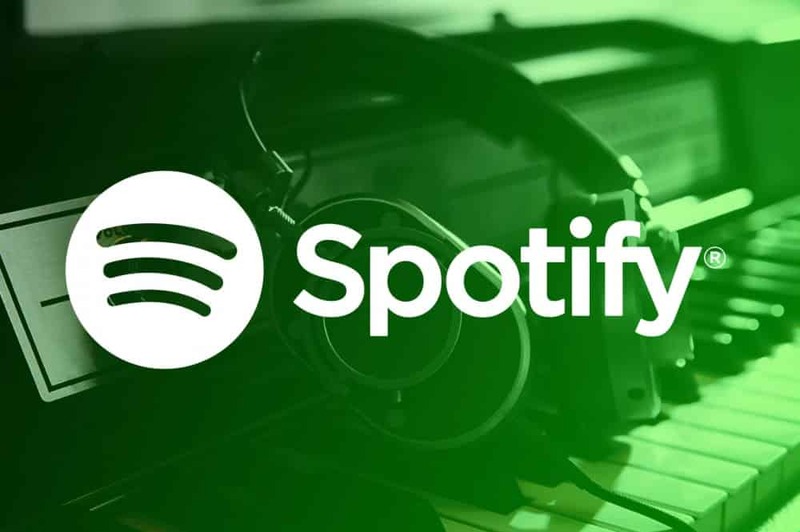 Spotify is also available for desktop computer and it has almost all features that the mobile app has. It’s basically a music streaming app which has millions of songs under its database. However, Spotify is not free and users need to subscribe to a premium package to access those songs. Still, Spotify is heavily popular and deserves to be on the list. So, these are the top ten best music player apps for Windows 10 that you can use right now. If you know any other apps like these, then make sure to drop the name in the comment box below.